So, this episode opens during the hunting season of 1925. There were dogs, top hats and Mary refusing to ride side saddle. We saw so much power from Mary episode, she is fully back to her old strong willed self with her sassy bob. She had to have been one the most stunning riders that day, so stoic. I am slightly disappointed in her, though. I am mean I would have given her full grace if she would have just smacked that ill-mouthed thieving horrid woman who showed up the day of the hunt. She remains a mystery woman, even getting sideways with Carson, before we find out that she was the chambermaid at the Grand Hotel. Yep, the scene of the week of sin that Mary participated in last season with Lord Gillingham. Tisk, tisk, Mary. You should have married him after all, then there would be no reason for someone to come and attempt to blackmail you. Luckily, Mary has Anna to confide in, again. And to also brush her hair. I’d love to have someone just brush my hair every evening, wouldn’t you? Or maybe someone to just help me remember to remove my make-up. Can you believe that the hussy (not Mary) had the nerve to show up again, this time lying her way upstairs to Mary’s room. Anna, quickly came to Mary’s aid and escorted the nasty woman out of the house before Mary had a chance to assault her with the breakfast tray. 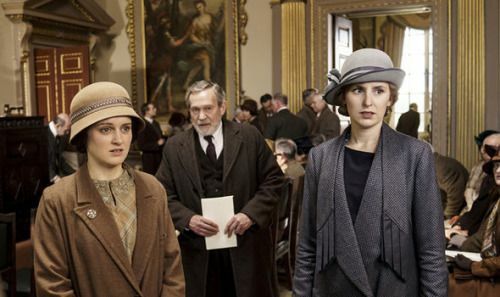 Through out the episode her father, Robert Crawley (Lord Grantham), questioned Mary’s health and if she should be so involved in things like the running of Downton after the departure of Tom. Who, just so you know, is doing great in America. He has a flat with a garden and Sybbie has started school. 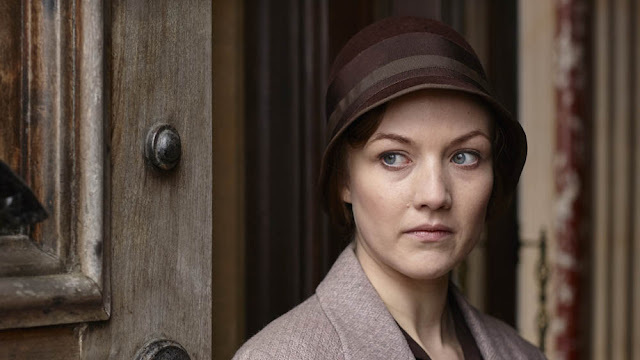 Crawley, unfortunately, learns what is causing Mary’s mood when the that (how many words can I use to help you see how awful this woman was) repulsive woman shows up again and dodges Carson at the door to grab Lord Grantham’s ear. 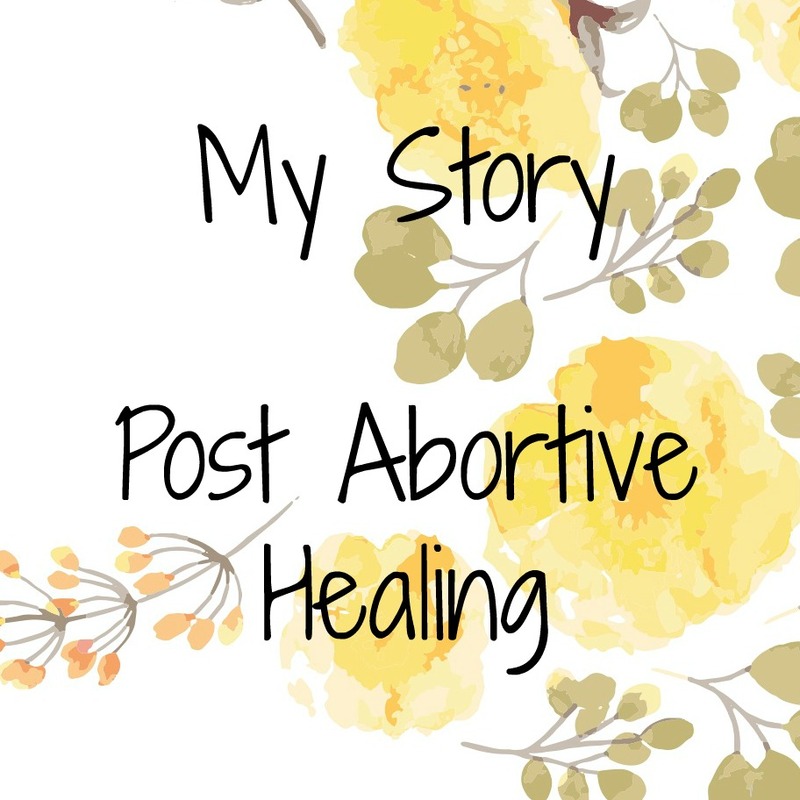 In true fashion, Mary’s father pays her off with the signed written promise that she will not publish her story. Mary explains that she would rather face the shame them allow someone to blackmail her to which Crawley expressed just how proud he was of Mary and her actions (not the week long tryst). 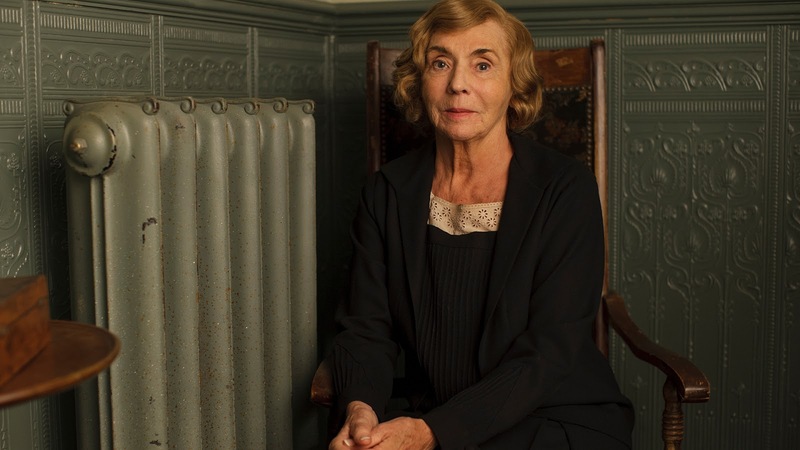 This proved that she was a tough cookie fully able to run Downton Abbey when her time came. Lord Grantham, had so much on his mind this week as he started to debate on when and how to reduced the staff at Downton. He had an awakening while at the Mallerton Auction. Dear friends of the Crawley family had to auction off all of their estate’s belongings and sell there massive property leaving many of their farmers homeless (more on that drama later). Lord Grantham was also preparing for a “very trying spring and summer” with his mother, Dowager Countess as she fights a battle over the hospital. My favorite person, Violet (Dowager Countess) did not disappoint with her laugh out loud one liners. There seems to be friction galore between her and Isobel over the sale of the hospital causing their men to take sides. Lord Merton is still actively pursuing Isobel and Dr. Clarkson’s ego still seems to be bruise by Isobel, so he is quickly siding with Violet. I just love the exchange between Violet and Isobel after Isobel showed up unannounced. 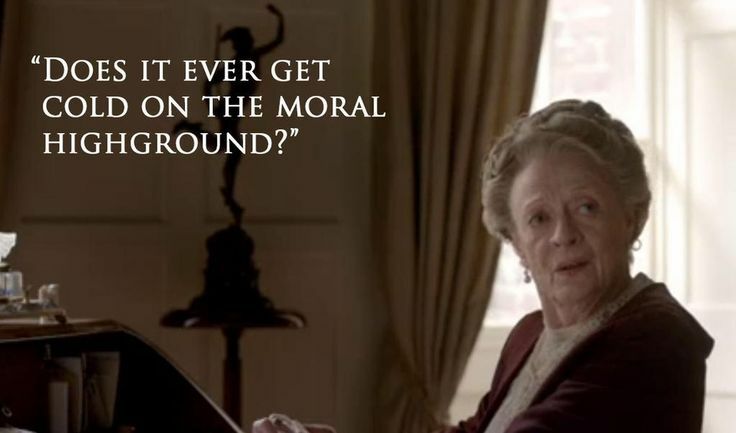 That one line will forever live in a long list of the best Maggie Smith quotes, and she delivers them perfectly. In typical fashion, Isobel breaks her tough exterior to show her heart, she just doesn’t want them to fall out. Meh, they are truly best friends. That exchange leads us to one of my favorite scenes in this episode (I have three total - it was a good week!). So, let me backtrack just a bit for you. 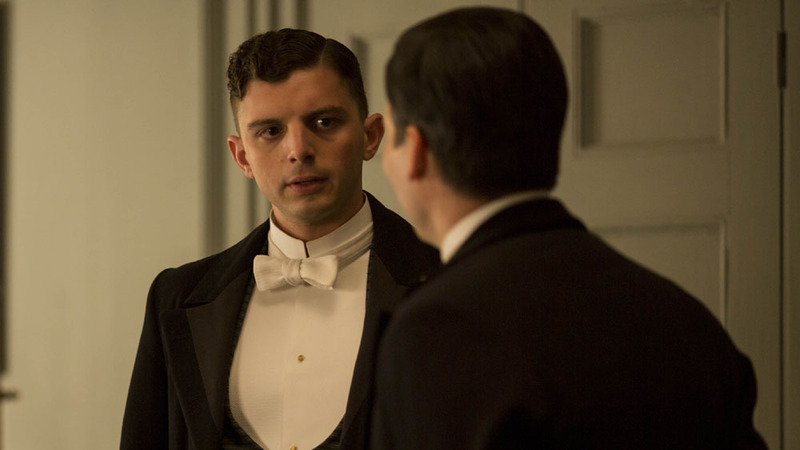 Lord Grantham sought out advice from his mother about cutting back the staff at Downton, to which the Dowager Countess shared with her lady’s maid Denker. Don’t we all just love what Denker and Spratt bring to the Countess’ home, such an excellent level of disfunction? I don’t believe that Denker heard the command of “no talking” through the dust cloud she stirred up as she ran out to share the news with her least favorite group of people, the staff at Downton Abbey. Ms. Patmore called her out as soon as she walked in, she knew that Denker was there to cause trouble. Denker was just there to sympathize with them due to the household reduction they were facing. Of course, this caused a few shock waves through the staff. Ms. Patmore was correct, she was just there to “cast a shadow”. Denker couldn’t stop her sunshine spreading just at Downton and took it home to hang over Spat, the butler’s, head. Sprat fed right into her lie about shortening the wages and how she was a more important staff member than Sprat. These two are still at it, don’t you just love it? Spat’s blood pressure was quickly rising so he requested that the Countess give him some sort of notice before she let him go, so he would be able to find other employment. That was it - Denker fate was sealed. I know that I don’t want to get caught talking after Violet Crawley requests that I not speak a word to anyone. So, as Violet helps warm up Isobel from her trek up to the moral mountain with a round of tea, Violet thanks Denker for her prompt service, with “I shall miss you.” Denker’s face was priceless, just priceless. Of course Spratt was there after Denker received word of her fate and delivered the last blow by offering a copy of the newspaper he had upstairs, so she could start searching for other employment. This whole scene ends with another Dowager Countess masterpiece line when she was asked why she was lying about reducing staff to Denker. 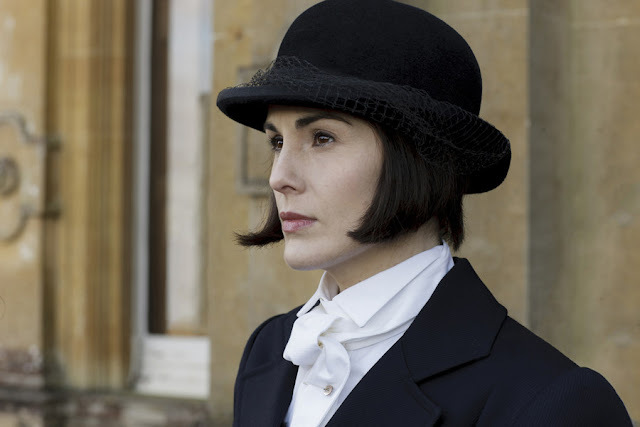 The Countess responds to Isobel with, “Sometimes it’s good to rule by fear.” Isobel is just speechless - I love it! Andy, the new guy (the guy in the middle of the picture from my last post) just knows that he will be the first to go, since he is the most recent hire. Barrow has been showing him the ropes when he is not occupied giving the super cute Marigold piggy back rides and worrying about his own fate at Downton. The person who should be concerned about losing their room downstairs is Daisy. Since attending college, that girl has gotten some serious sass. So, in the selling of Mallerton (the auction I spoke of earlier) Daisy’s father in-law, Mr. Mason is losing his tendency. Meaning, the farm that he, his father and grandfather worked (and lived) is being taken from him due to the selling of that property. 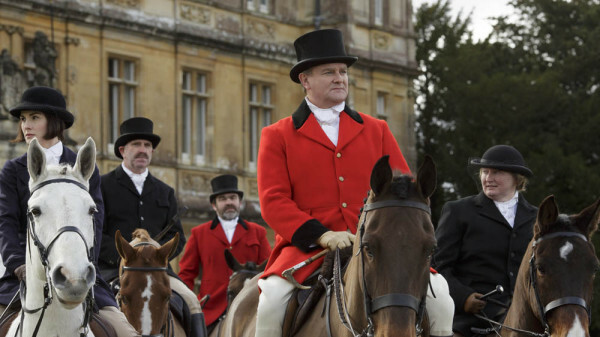 Lord Grantham does try to see if he can stay on, but unfortunately they couldn’t sell the estate without vacant possession. So, Mr. Mason is losing his job and his home which sends Daisy into a tizzy. Noticing that the auction included things of Mason’s past along with the homeowners Daisy snapped. She confronted with the new buyers in a scene and refused to be hushed by Lord and Lady Grantham who finally had to just raised there hands and stared in horror. Daisy made her case about the new owner booting out families that had been there for generations. In the end, Daisy made it worse and Mr. Mason got the boot. Much to Caron’s dislike Daisy was just scolded and not fired. Okay, let me tell you about these three players before I get to my favorite part of this entire episode. 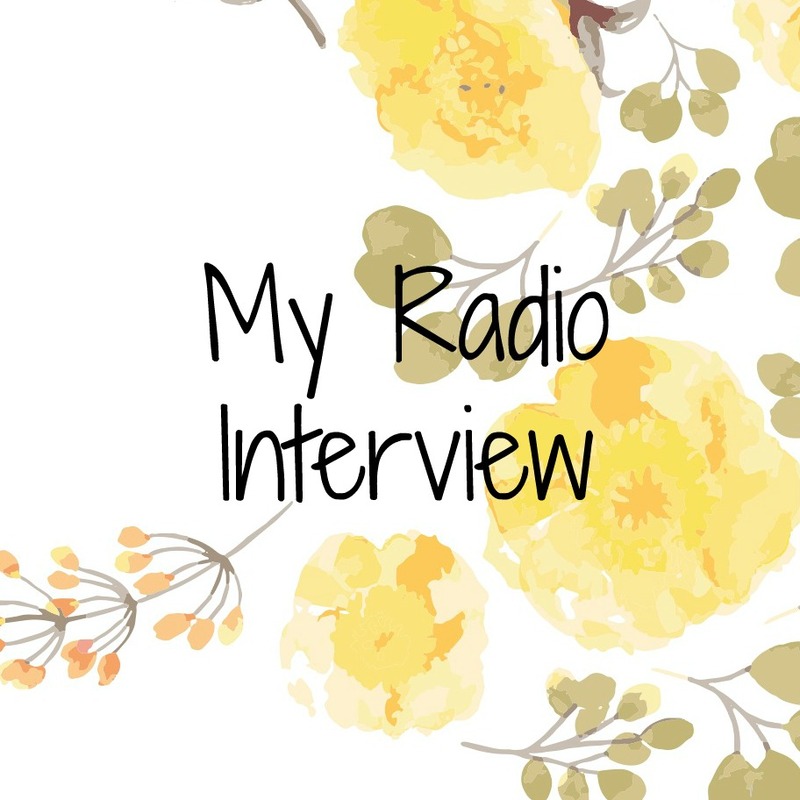 Edith is having issues with her editor since he doesn’t want to work from a woman and she is strongly considering living in the flat in London that she inherited from her baby’s daddy. She is ready to live out her life with Marigold in a place where people “aren’t so curious.” I’m holding a big spoiler about Edith that I found while searching for pictures for this post and I am not going to tell you yet. I also have spoiler hidden away about these two. They had a good, but not great week. 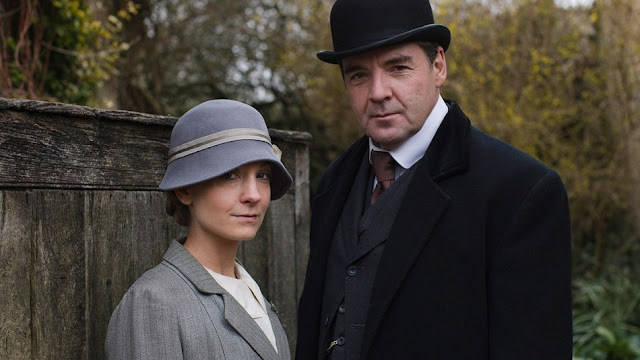 It seems Anna has suffered another miscarriage (her third) and she feels like she is a big disappointment to Mr. Bates. 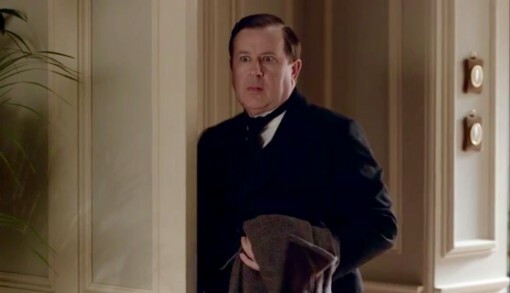 Bates, being Bates, loves Anna to death and would never once say that he was disappointed in her. I really thought the scene in the preview for this season where Mary congratulates Anna was due to a pregnancy, but this week we saw it was because the Mr. Green crap is over! Hallelujah! A woman came forward and confessed to pushing Mr. Green into traffic thus causing his death. The woman will spend the remaining part of her life in jail and sent her apologies for the ordeal that Anna faced through the police sergeant. Anna, quickly sent a message for forgiveness back to the woman and wished her the best. So, it’s over, there was champaign and dancing downstairs that night. 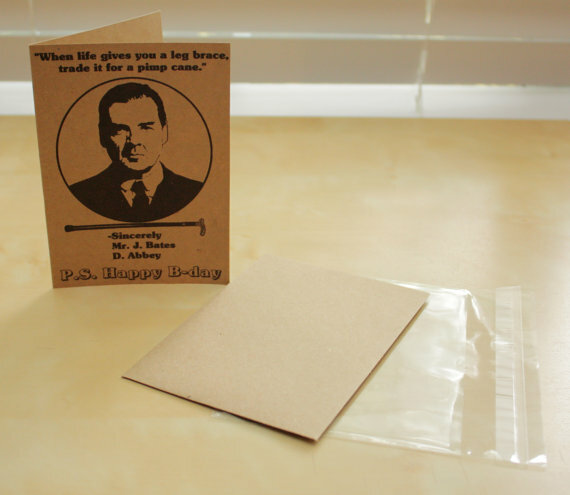 I just had to show y’all this card! So, do you know what I left for the end? The best ending EVER, of course! 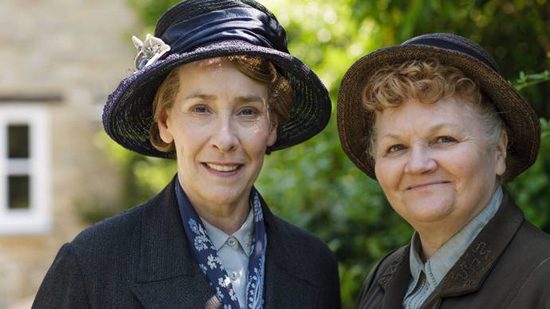 Ms. Hughes, Ms. Patmore and Mr. Carson are quickly replacing Violet as my favorite character! Their triangle this week was filled with love, some sadness and gave us so much humor. So, it seems that Ms. Hughes is stalling on setting a wedding date and Ms. Patmore was going to get to the bottom of it all. The late in life nuptials are causing Ms. Hughes some serious worry and confusion. She was not sure if Carson wanted a friendship arrangement or a marriage with “all the aspects.” She is wondering if they should live like brother and sister to skip the embarrassment of seeing each others’ aged bodies without clothing. 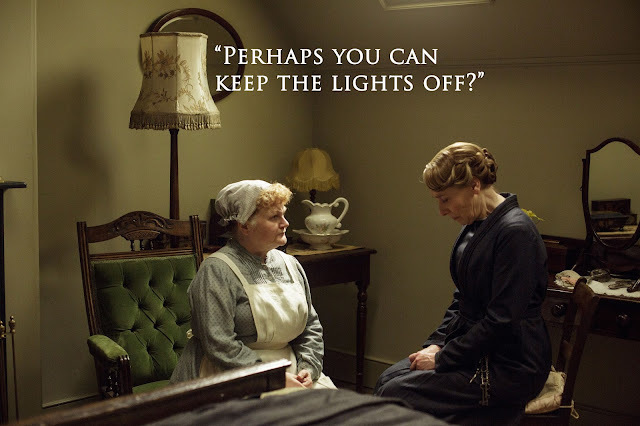 Ms. Patmore is there with support and advice never expecting to be sent in for the kill. Being an every loving friend, Ms. Patmore works up her nerve, but quickly that fades as soon as she in Mr. Carson’s office. She just couldn’t bring herself to utter such words to Mr. Carson of all people and leaves after she quickly chugs her port wine. Did you know that Ms. Hughes name was Elsie? I don’t think I’ve ever heard it until this episode and her asking Carson if he should start called her Elsie. Carson is catching on to there being something wrong and realizes that Ms. Patmore was on a mission from Ms. Hughes. He is afraid that she had changed her mind and did not want to marry him after all not once thinking about wether she would “perform her wifely duties.” What a hilarious scene of Ms. Patmore having to turn her entire body away from Caron to say those four words. It took a few minutes for Carson to catch on at first believing wifely duties include cooking meals and cleaning, then snap, he’s got it. Carson insists that he wants a “full marriage; not just a “warm friendship.” In his eyes Ms. Hughes is beautiful and he loves her so much. Ahhh. Ms. Patmore: Carson wouldn't be vulgar if they put him on a seaside postcard. 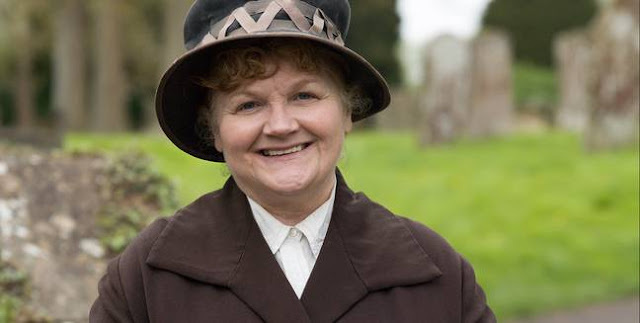 Anyone else feel kind of sad for Ms. Patmore? 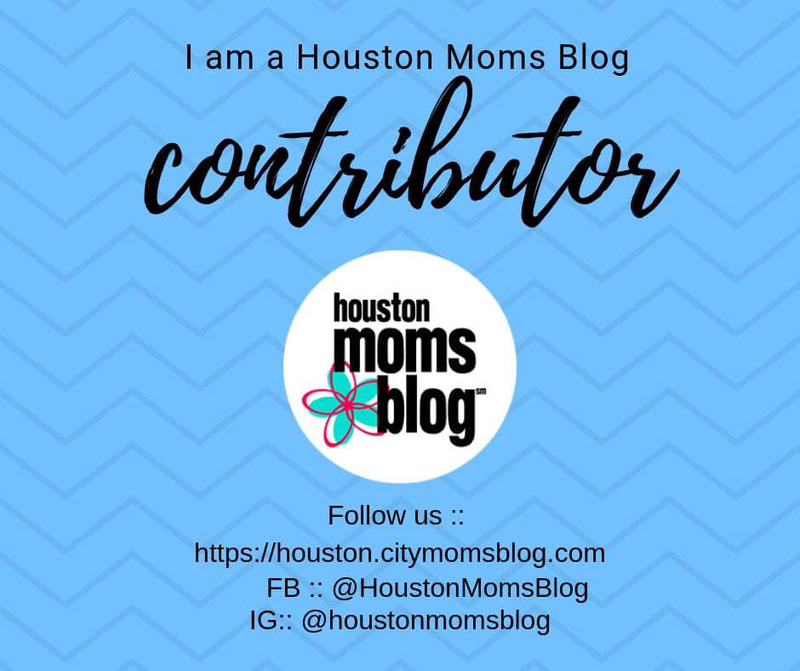 Over and over she mentioned having no experience in this area and never having the love that Carson and Ms. Hughes have. 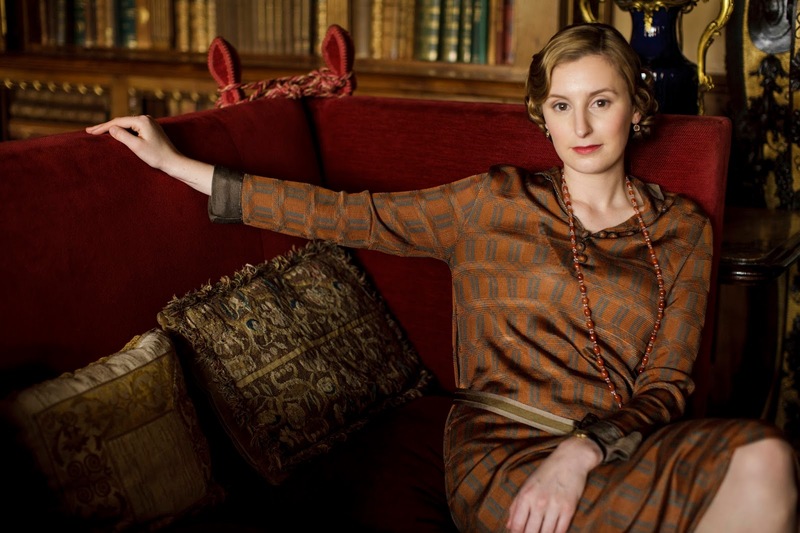 Meh, Ms. Patmore, I love you! My hope is that she is courted by the police sergeant. I think we all thought as we watching them dancing. Which leads us to the besting ending ever! These two are just too proper for words, I can’t wait to seem them relaxed (as much as they can) around each other. She’s his lobster! (for all you Friends fans) Oliver Cromwell was quoted then we witnessed the best smooch ever! I love them! I’ll let you have this spoiler! I can’t wait! Wow, 2,112 words - you think I am over joyed about Downton being back? So, now I must ask you, who wore it best? 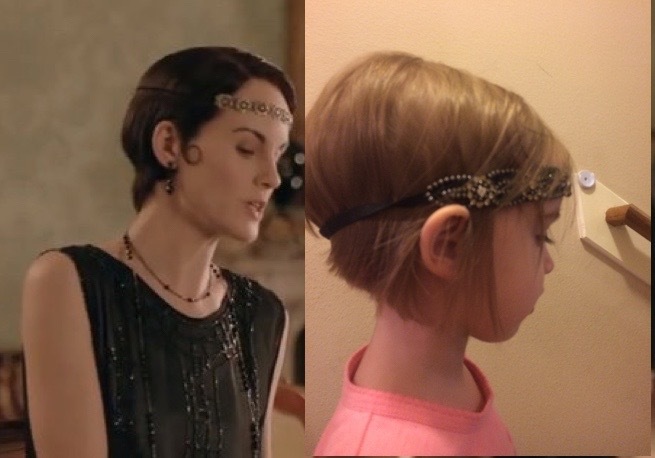 Mary totally stole Morgan's new sassy bob!